The Justice Department notes that the Postal Service, as a sponsor, paid the cyclist $17 million over six years. AUSTIN, Texas — The Justice Department laid out its case in a lawsuit against Lance Armstrong on Tuesday, saying the cyclist violated his contract with the U.S. Postal Service and was “unjustly enriched” while cheating to win the Tour de France. The government had previously announced it would join the whistle-blower lawsuit brought by former Armstrong teammate Floyd Landis. Tuesday was the deadline for the Justice Department to file its formal complaint. The Postal Service paid about $40 million to be the title sponsor of Armstrong’s teams for six of his seven Tour de France victories. The filing in U.S. district court in Washington, D.C., says the USPS paid Armstrong $17 million form 1998-2004. The lawsuit also names former team Armstrong team director Johan Bruyneel and team management company Tailwind Sports as defendants. The financial costs for Armstrong and Bruyneel could be high. The government said it would seek triple damages assessed by the jury. Armstrong, who in January admitted using performance-enhancing drugs after years of denials, has argued that the Postal Service’s endorsement of his team earned the government agency far more than it paid him. “The U.S. Postal Service benefited tremendously from its sponsorship of the cycling team. Its own studies repeatedly and conclusively prove this. The USPS was never the victim of fraud. Lance Armstrong rode his heart out for the USPS team, and gave the brand tremendous exposure during the sponsorship years,” Peters said. The government must prove not only that the Postal Service was defrauded, but that it was damaged somehow. Previous studies done for the Postal Service concluded the agency reaped at least $139 million in worldwide brand exposure in four years — $35 million to $40 million for sponsoring the Armstrong team in 2001; $38 million to $42 million in 2002; $31 million in 2003; and $34.6 million in 2004. The formal complaint against Armstrong appears to rely heavily on evidence and statements supplied by Landis and gathered by the U.S. Anti-Doping Agency for its 2012 investigation that exposed a doping program on the USPS team. Armstrong has been banned from sports for life and stripped of his seven Tour de France victories. Bruyneel, who lives in London, also has been charged by USADA with doping violations but is fighting that case in arbitration. The government notes the contract with the Postal Service required riders to follow the rules of cycling, which included bans on performance-enhancing drugs and methods. 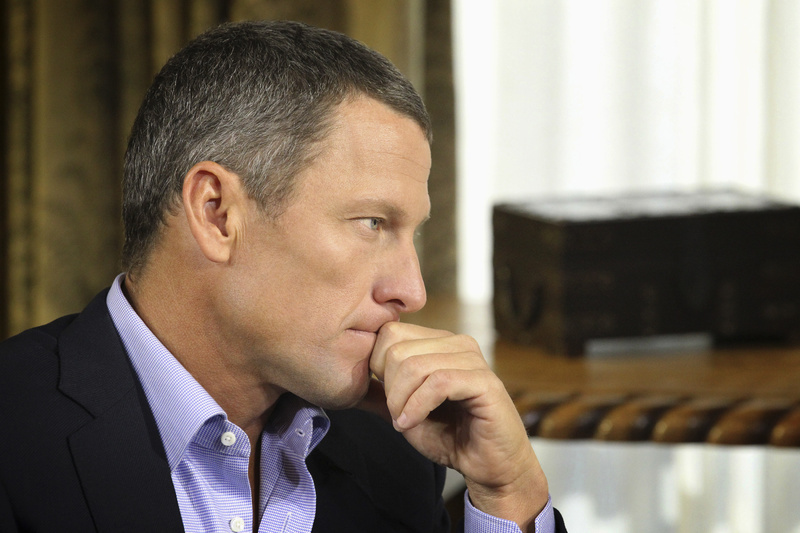 Armstrong now admits using steroids, blood boosters and other illegal performance-enhancing drugs and measures to win. By breaking the rules and covering it up, Armstrong and Bruyneel committed fraud against the U.S. government, the complaint said. The complaint said that for years, team officials assured the Postal Service that the team wasn’t doping. Armstrong had been the target of a federal criminal grand jury, but that case was closed without charges in February 2012. Armstrong has previously tried to settle the Landis whistleblower lawsuit, but those talks broke down before the government announced its intention to join the case. Armstrong also is fighting a lawsuit from Dallas-based promotions company SCA to recover about $12 million it paid him in bonuses, and a lawsuit from the London-based Sunday Times, which wants to get back $500,000 it paid him to settle a libel case.